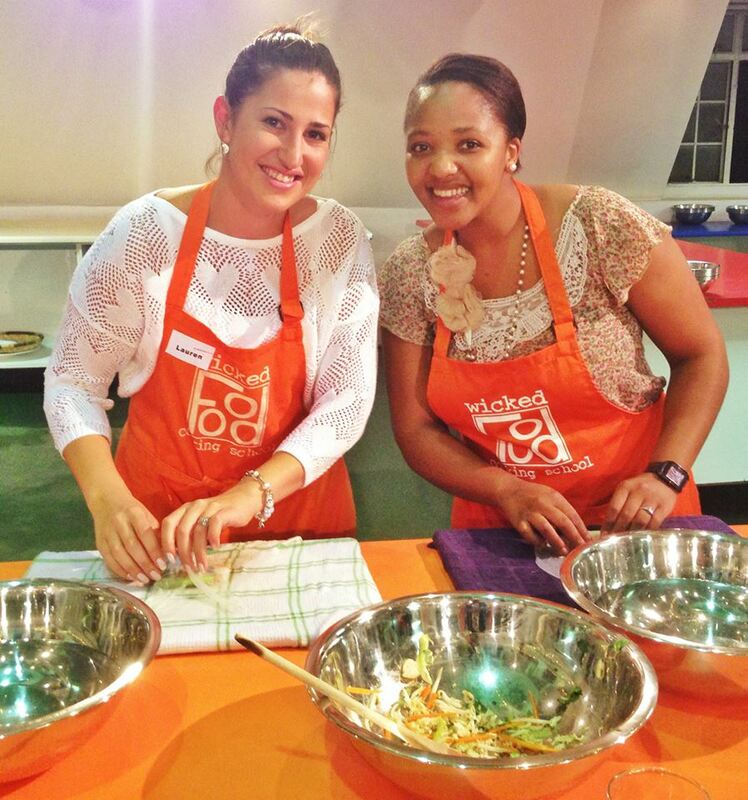 Wickedfood Cooking School in Johannesburg recently hosted members of Compex to an exciting evening of cooking. These kitchen cowboys were so keen to cook themselves a 3-course meal, and they did not disappoint. The cooking class consisting of 6 dishes that everyone had a hand in preparing and cooking. This team building activity is an awesome way to interact with colleagues in a private venue that is exclusively ours for the entire cooking class. 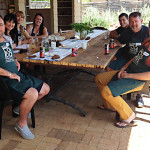 For more pictures of this hugely successful team building cooking class, click here. Wickedfood Cooking School also offers cooking classes to hobby cooks wanting to learn more about specific cuisines and skills. These cooking classes held in Johannesburg are a perfect way to meet like minded cooks in a safe, non-threatening environment while learning something new. These cooking lessons are scheduled every Monday at 6pm at the Sunninghill cooking school. For more information on up coming classes, click here.